Why is Al Jazeera refrained from broadcasting in India? The Home Ministry has reportedly taken a decision to stop the Qatar-based Al-Jazeera channel from broadcasting in India, after a documentary covering the subject of militancy in Kashmir was broadcasted. The decision came after the Central government’s “efforts and the comments of its officials” in the documentary went missing in the “edited version,” submitted to the Home Ministry for broadcasting clearance. The channel had dedicatedly assured a 10-minute space in the documentary where it focused on the Government of India’s efforts related to the militancy in Kashmir, along with the official quotes. However, that cut couldn’t make it to the “edited” version that was submitted for the clearance. Moreover, the security clearance of the channel was withdrawn on 29 May this year, which was valid from 3 December 2010. This is not the first time that Al-Jazeera English has received flak from the Government of India. Earlier, in 2015, the Qatar-based channel was banned for five days. The Channel had shown, what the government said was “an incorrect map of Jammu and Kashmir” with respect to India. Again, with the recent controversy, the relation between the channel and India doesn’t see any major signs of improvement. Not only India, Al-Jazeera has been a victim of Press Censorship in other conflict-prone zones, as well. The first ban on the channel came in 2004 by the Algerian government, after the channel aired a debate program in which the government was strongly criticised by its opposition members. In the same year, Al-Jazeera had been banned by the Iraqi government, with an accusation of “inciting hatred” in the country through its reporting. The third ban came in 2011, when the Egyptian government ordered the channel to close its offices in the country. Six journalists were also put behind the bars. Two years later, in 2013, the Iraqi government, once again, put a ban on the channel with an accusation of “promoting a sectarian agenda”. Again, in the same year, the Channel continued denouncing the Egyptian government, leading to a ban in broadcasting outside the country’s Capital, Cairo. The channel was criticised for being sympathetic to the Muslims. When it comes to Kashmir, the Government of India has strict guidelines for the foreign journalists covering the conflict-ridden Valley. While the ban on Al-Jazeera is the most recent instance of Press Censorship by the Indian government, in May, an order had been issued by the Ministry of External Affairs to foreign journalists working in India, asking them not to visit Jammu and Kashmir without prior permission. Interestingly, India ranks as low as 138 in the Press Freedom Index, as compiled by Reporters Without Borders organization. A Home Ministry official, as quoted by the Press Trust of India, showed uncertainty over the clearance of broadcasting issue with the channel. “Our role is limited to matters related to security clearance. The decision on cancellation of broadcasting license will be taken by the Ministry of Information and Broadcasting,” the official said. 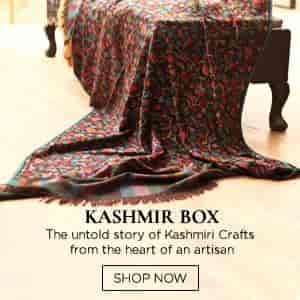 When The Kashmir Walla tried to speak to the Ministry of Information and Broadcasting, one of the officials denied giving any comment on the ban.